More than 30 years ago, Cleveland Magazine credited chef and restaurateur Zack Bruell with introducing the area to an emerging West Coast trend of bistro dining and fusion cuisine. Bruell was first introduced to the concept by famed chef Michael McCarty of the landmark eatery Michael’s Santa Monica — a restaurant recognized for influencing dining attitudes throughout North America with its California nouvelle cuisine. Bruell imported the new style to Cleveland, where he opened Z Contemporary Cuisine in Shaker Heights in the early 1980s. Although he eventually sold Z, Bruell’s fans did not forget him. He got back in the restaurant game in 2004 with the opening of Parallax in Cleveland’s Tremont neighborhood. Within eight years, Bruell opened four more fine dining restaurants: Table 45 at the InterContinental Hotel Cleveland, L’Albatros, Chinato, and Cowell & Hubbard. In 2013, Bruell opened Dynomite, his first fast-casual concept. In 2015, he opened Alley Cat Oyster Bar, and in 2017 he created the concept and menu for Collision Bend Brewing Company. 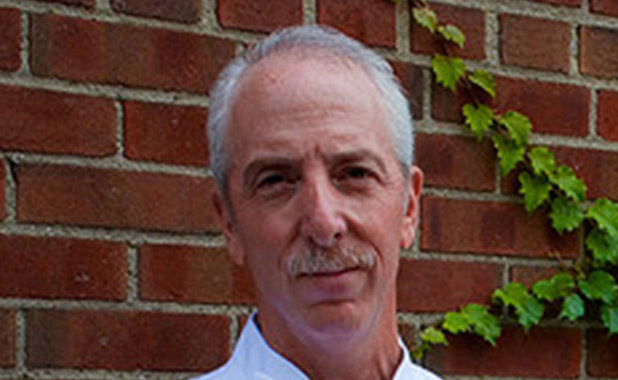 Today, Bruell is the only restaurateur in Cleveland with nine successful establishments within city limits, including a restaurant-style catering and events company, Zack Bruell Events. Bruell recently created and debuted a full line of gourmet coffees, Zack’s Brews, as well as Zack Bruell Olive Oil and Zack Bruell Balsamic Vinegars and Signature Sauces. All Zack Bruell products are sold at Heinen’s and Fishers Foods stores throughout Northeast Ohio. Zack Bruell Events is a restaurant-style custom catering service that provides signature Zack Bruell dishes at off-site events. The service offers a range of culinary options, from hors d’oeuvres to multi-course sit-down dinners, depending on the style and setting of the event. Patrons can choose from a selection of favorite Bruell restaurant dishes to feature, or they can work with chefs to create a tailored menu unique to their event. Zack Bruell restaurants embody the dynamic, diverse dining scene for which Cleveland has become known. With six unique fine dining concepts — and one fast, casual joint — Bruell has cuisine to suit every taste. Whether you’re looking for expertly prepared seafood and sushi, robust World Cuisine, traditional French brasserie food, regional Italian specialties, modern Parisian fare, or a made-to-order burger, you can find it at a Zack Bruell restaurants. Dynomite offers fresh, made-to-order burgers, sandwiches, and sides, as well as wine, beer, milkshakes, and more. Located in Playhouse Square, it offers a casual walk-up counter with outdoor seating in the U.S. Bank Plaza. Zack Bruell introduces Zack’s Brews, a line of signature Zack Bruell coffees available at Heinen’s and Fishers Foods stores. The six blends — one for each restaurant, plus Bruell’s signature “Hot Lips” flavor — are custom-roasted and packaged locally by Caruso’s Coffee in Brecksville, Ohio, ensuring maximum freshness and flavor. The custom-designed packaging includes the blend description, as well as suggested pairings. Zack Bruell Olive Oil, 100% Extra Virgin, is made from arbequina, arbosana and koroneiki olives, which are all grown by Corto Olive, a family-owned agribusiness in California’s Central Valley. The olives are picked directly from the tree and milled within hours of harvesting for optimal flavor and freshness. They are served in all of Bruell’s fine dining restaurants. Zack Bruell Balsamic Vinegars allow customers to take home the same great, restaurant-quality vinegars they experience at Bruell’s fine dining establishments. The vinegars are available in two varieties: Zack Bruell Balsamic and White Balsamic Vinegar. The products offer a complexity and flavor intensity not available in most balsamic vinegars with a lower acidity level. Zack Bruell Balsamic Vinegars are available at all Heinen’s and Fisher Foods stores across Northeast Ohio. The Zack Bruell Restaurant Group has announced the creation of three new sauces now available for sale in Heinen’s grocery stores: Thai Curry Sauce, made popular at Alley Cat Oyster Bar; Pepper Sauce from Parallax Restaurant and Lounge; and the renowned Marinara Sauce created at Ristorante Chinato. Each sauce was developed in the kitchens of Chef Bruell’s award-winning restaurants.